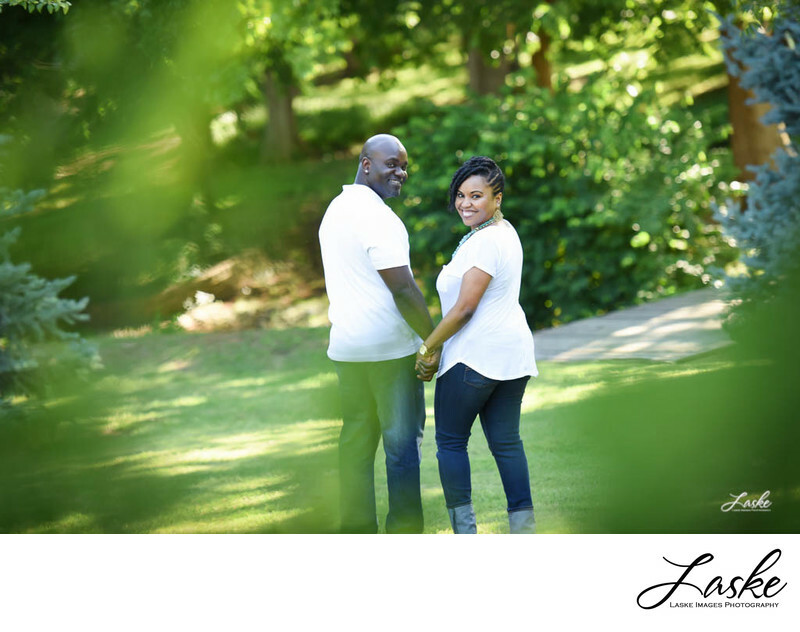 Green grass and trees surround this couple during their outdoor session. The stop and turn as they are walking away to smile at the photographer. 1/320; f/2.8; ISO 400; 140.0 mm.